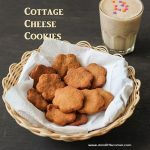 Cottage cheese Cookies are Crisp and Crumbly. 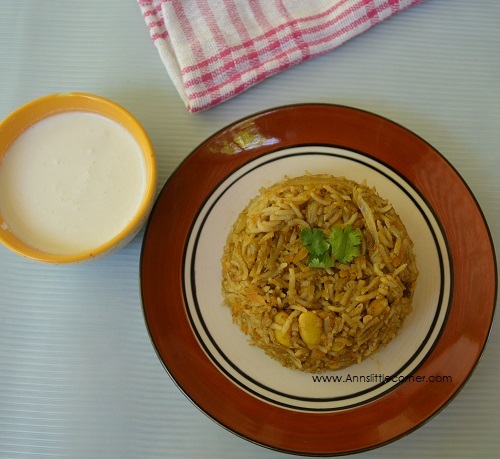 They are best to enjoy with a cup of chai/tea/Coffee or even a cup of hot milk. In particular they are delightful snacks with evening tea. I have used whole wheat flour as the base flour. Cottage Cheese and Butter are the Key ingredients that makes the cookies rich in taste. So Today’s Ingredients for the Protein Rich BM theme is Cottage Cheese and Butter. I have used Jaggery powder as the sweetener. 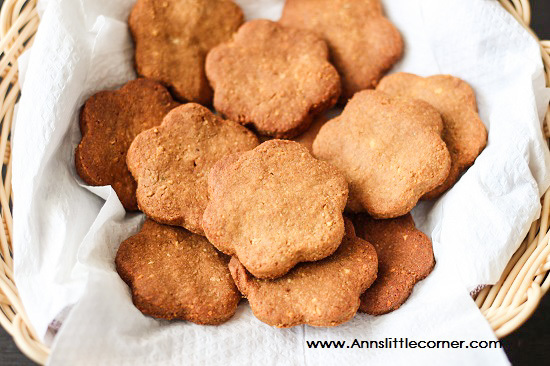 Cottage Cheese Cookies are crunchy and soft tea time snacks. Add in Whole Wheat flour, Baking Powder and Baking soda in a mixing bowl. Sift the mixture 2 or 3 times to remove any lumps from the mixture and to blend well. Add in the jaggery powder and mix them gently. Add in Scrambled cottage cheese and mix them. Add in the vanilla extract and mix them gently. Add in the Lemon Zest and mix them gently. Add in the butter little by little and knead the flour into a smooth dough. Flatten them in a smooth surface using a rolling pin. Choose your desired cookie cutter and shape them. Preheat the oven at 180 deg C for 10 minutes. Get ready with the Baking tray. Place a parchment paper and grease them with butter. Arrange the shaped cookies. Place them in the oven and bake for 30 minutes at 180 deg C. Or until the sides start darkening. Remove the cookies from the oven and allow them to cool down completely. Remove the cookies from the baking tray slowly and serve them. The amount of butter and cottage cheese that I have added was enough for me to knead the flour into a smooth dough. If this mixture is still powdery add in luke warm water to make the dough. The baking time completely depends on the size of the cookies. The cookies get harder when they cool down. So do not overbake or they get harder. Add Whole wheat flour, Baking Powder and Baking Soda in a mixing bowl and sift the mixture 2 or 3 times so that they blend well. Add in the scrambled cottage cheese and mix them gently. Add in Vanilla extract and powdered jaggery and mix them gently. Add in butter gently and knead them little by little. Do not forget to add in the lemon zest I actually forgot and added it in between adding butter and kneading. Knead the dough into a strong and smooth dough. Flatten them using a rolling pin and cut using your favourite cookie cutter. Preheat the oven at 180 Deg C for 10 minutes. Get ready with the baking tray. Place a parchment paper. Grease with butter. Arrange the shaped cookies. Place them in the oven and bake for 30 minutes at 180 deg C or until the sides start darkening. In my home this was a hearty tea time snack for me and my little girl. 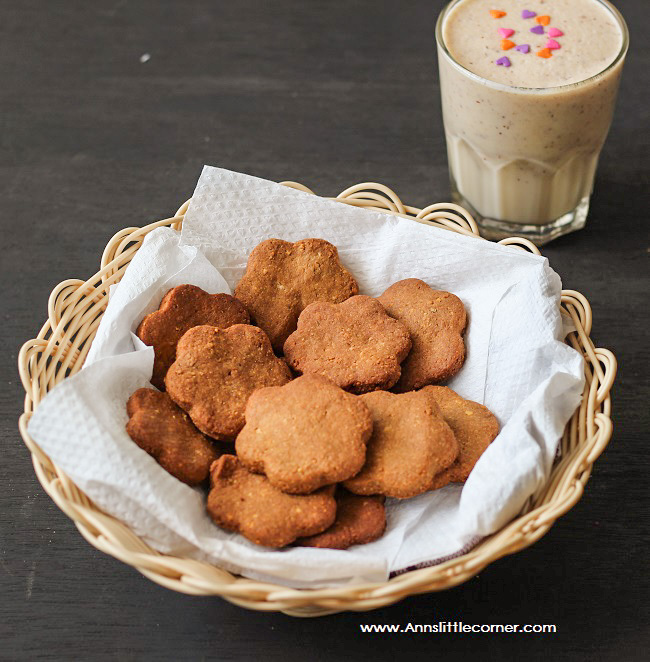 Cookies with paneer? That’s something new and kudos for the innovative idea. Actually I am eyeing that glass of milkshake! Never treid baking cookies with paneer. They do looks nice!! That’s a really innovative dish. Cookies look delicious! Even I have never tried baking with paneer. The cookies came out so crunch and delicious. Cookies with paneer is a really interesting idea and I guess you nailed it. The cookies look so good and I am sure they tasted amazing.. Awesome. The cookies must have been delicious. Definitely very innovative . The cookie looks fantastic , must be delicious , it pairs well with that shake making it a real protein rich breakfast . Wow, paneer cookies, never heard of these cookies. They surely look so delicious. a wonderful recipe for the protein rich theme. 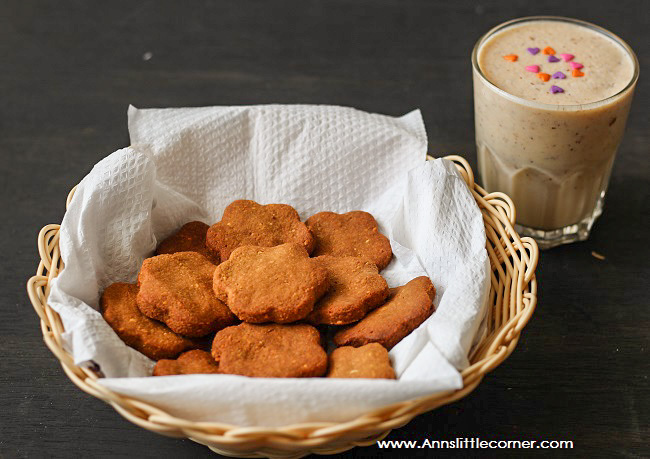 Very creative and brilliant idea to use paneer in cookies, scrumptious they are.. Very new for sure…those cookies look so good..Very nice choice! 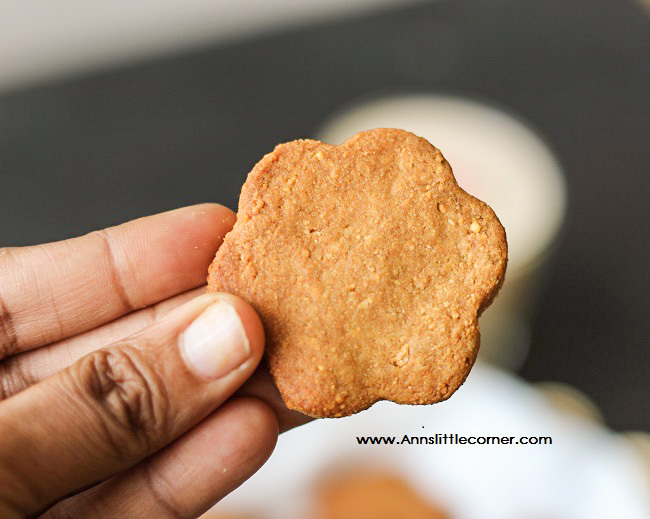 Never attempted cookies with panneer,must be a crunchy cookie..
Never heard of paneer cookies. Loved the flowery shapes.